Loch Ness is simply overflowing with fascinating myths, turbulent history and tales of a legendary monster. No visit to the Scottish Highlands is complete without a tour of this world-famous landmark. With over 40 years' experience sailing the Loch, and many thousands of delighted customers (Click here to discover why Tripadvisor has awarded us their 2015 Certificate of Excellence) there's no better way to enjoy this memorable experience than with Loch Ness by Jacobite. Our Loch Ness cruises and tours will take you on a journey of discovery, as you soak up the scenery, historic monuments and intriguing tales surrounding our mysterious monster, ancientUrquhart Castle and the Caledonian Canal in the heart of Scotland's Great Glen. A choice of 9 cruise & tour options, departing from 3 locations. 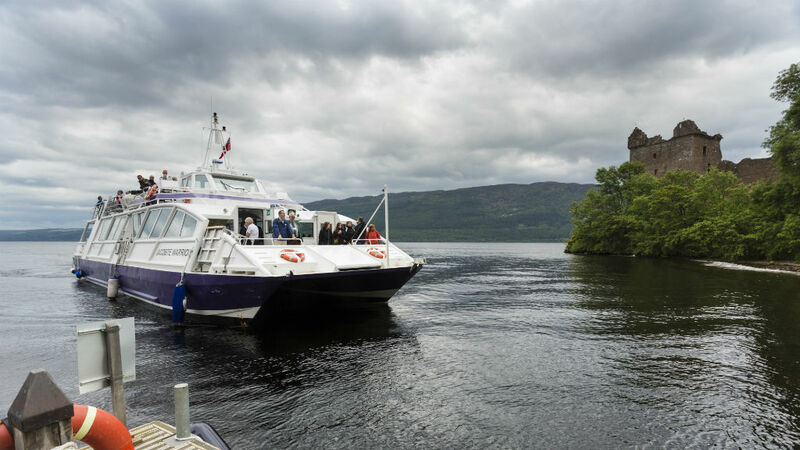 Choose a 1 or 2 hour cruise from Clansman Harbour; depart from Tomnahurich Bridge and explore the Caledonian Canal before sailing onto the Loch's famous waters; or go for a full Loch and Castle Cruise & Tour of Loch Ness and the surrounding area. Visiting Loch Ness is a once in a lifetime journey for many people. And that's why they choose Loch Ness by Jacobite. Our onboard experience will make your visit more memorable with live sonar to watch out for Nessie, a professionally recorded audio guide that will immerse you in fascinating history and legends, and our friendly, experienced crew standing by to answer your questions.